There is reason to believe that General Motors is failing again, after having been bailed out by America’s taxpayers. It stopped reporting monthly sales back in April of 2018, despite the fact that all of its domestic and foreign competitors had been reporting them on a regular basis. This was a drastic decision by GM’s management, which had reported such figures during the last auto sales crisis—described as the Crash of 2008. GM was on the ropes then. Chrysler and Ford were too, but company founder Henry Ford’s great-grandson Bill Ford and Boeing’s Alan Mulally—who had become Ford’s president—put together a winning plan to save Ford without going into bankruptcy. They hunkered down and sold off Aston Martin, Land Rover, Volvo, Jaguar, Ford’s dominant interest in Mazda, and consigned the Mercury brand to the dustbin of automotive history. In the process, their strategy succeeded impressively. Today, Fords are the largest selling vehicles in the United States; and the Ford F-Series trucks outsell all other vehicles. Both GM and Chrysler went into bankruptcy; and with his Fiat conglomerate hanging by a thread in Europe, its gutsy chief Sergio Marchionne bought Chrysler, and the rest is business history. Marchionne saved both of his companies. Today GM manufactures vehicles in 37 countries, and sells its core American automobile brands—Chevrolet, Buick, GMC, and Cadillac—through its U.S. dealers, some of which were put out of business following the last crash because they were deemed not to be buying enough cars from GM. This time, there must be no bailout for the company. It must be allowed to fail and go out of business—which is exactly what GM did to many of its best dealers and their employees. In the process, long-time and loyal GM customers were hurt too, having been the source of monies to bail out the company. No mercy was shown to any of them by GM’s management; and none should be shown to GM this time around. This is true as well with respect to electric vehicles, and their taxpayer subsidies. It is clear that the boycott movement is growing. 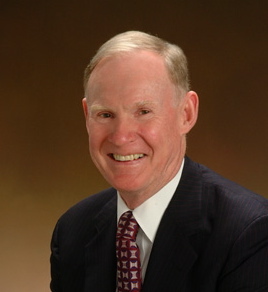 Tags: Alan Mulally, Aston Martin, auto, auto brands, auto sales, autos, Banking Committee, Berkeley, Berkeley Law, Bill Ford, Boalt Hall, Boeing, boycott, Boycott General Motors, Boycott GM, Buick, Cadillac, Chevrolet, Chrysler, Chrysler and Ford, Committee on Banking, crash, Crash of 2008, Defense Intelligence Agency, DIA, Ed Brooke, Edward W. Brooke, Fiat, Ford, Ford F-Series, Ford F-Series trucks, Ford Motor Company, Ford's president, General Motors, Georgetown, Georgetown Law, Georgetown University, GM, GM failing, GM fails, GMC, Henry Ford, Independent, Jaguar, Joint Service Commendation Medal, Land Rover, law, lawyer, Marchionne, Mazda, Mercury, Naegele, naegele.com, NaegeleBlog, Pentagon, Senate Banking, Senator Brooke, Senator Edward W. Brooke, Sergio Marchionne, Tim Naegele, Timothy D. Naegele, Timothy D. Naegele & Associates, Timothy Naegele, U.S. Senate Committee, UCLA, United States Senate's Committee, Volvo, William Clay Ford Jr.